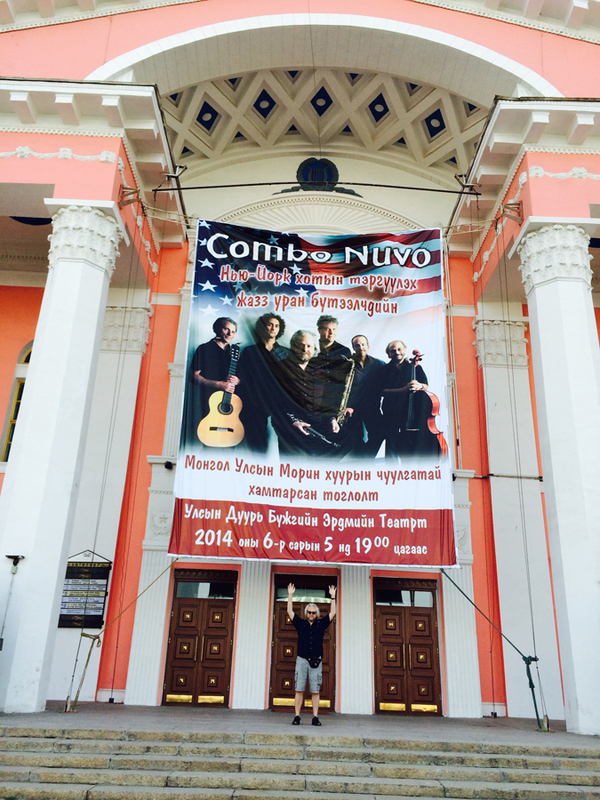 Combo Nuvo was created to explore the diverse experiences of musicians who have traveled across the globe, bringing their influences back home to Greenwich Village where they work and play. The brainchild of Dave Schroeder and Rich Shemaria, their premise was simple; let’s combine our favorite music with our favorite musicians and see what happens. In addition, they brought unique instruments from around the world into the group, finding new ways to write and arrange for them. Playing in tiny bistros and coffee houses around the Village during the late 90’s, the group began to find their sound. Their unique blend was created using instruments like the chromatic harmonica & blues harp, acoustic guitar, cello, Middle Eastern percussion, piano & synthesizers, jaw harp, penny whistle, flutes, clarinets and saxophones. By 2003, Schroeder accepted the position as Director of Jazz Studies at NYU Steinhardt and appointed Combo Nuvo the NYU Jazz Artist-in-Residence Ensemble, giving the group a forum to showcase their talents on an international level. From their humble beginnings, Combo Nuvo has moved on to perform at iconic venues like the Blue Note Jazz Club, Birdland and Dizzy’s Club Coca Cola in New York City. Around the globe they’ve appeared with international orchestras such as the Costa Rica Sinfonica Nacional, Peru National Symphony (Lima), the United Arab Emirates Philharmonic in Abu Dhabi, the i Solisti dell Orchestra del Teatro Verdi (Florence, Italy) and the Morin Khuur Ensemble; the National Symphony of Mongolia. In 2010, Combo Nuvo performed before 100,000 people (broadcast to over a billion) at the 60th Gala Celebration for East China Normal University in Shanghai, China. Dave Schroeder has mastered a broad range of instruments, adding to Combo Nuvo’s sound palate including the chromatic harmonica, alto clarinet, alto and bass flutes, sopranino saxophone, blues harp and penny whistle. For over a decade, his main musical focus has been dedicated to Combo Nuvo, but he has also has performed and/or recorded with such iconic jazz artists as Teo Macero, Toots Thielemans, Airto Moreira, Oscar Cartro-Neves, Kenny Werner, Don Friedman, Lee Konitz and Dave Liebman, to name a few. As Director of Jazz Studies at NYU Steinhardt since 2003, Dave has attracted a diversity of internationally acclaimed artist/faculty, many of whom have been featured with Combo Nuvo over the years. As a music producer, he created the NYU Jazz Masterclass Series, documenting legendary jazz artists including Hank Jones, Clark Terry, Benny Golson, Jimmy and Percy Heath, Phil Woods, Barry Harris and Cecil Taylor, and is currently the creator and host of the NYU Steinhardt Jazz Interview Series, viewable on YouTube. 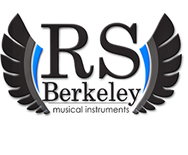 Dave endorses and plays RS Berkeley musical instruments including the silver plated Virtuoso tenor saxophone, silver plated sopranino saxophone and C, alto and bass flutes. Dave also endorses Seydel chromatic and diatonic harmonicas. Autodidact Lenny Pickett began his career playing saxophone and clarinet in bars and on the street in Berkeley California. He toured through the 70's with the legendary Oakland based R&B group Tower Of Power and worked in the 80’s as a saxophonist and an arranger for David Bowie, The Talking Heads and Laurie Anderson, among many others. Lenny is currently musical director and bandleader for NBC's Saturday Night Live, where he has been playing since 1985 and leading the band since 1995. He has composed music for experimental dance and theater, including collaborations with choreographers Steven Petronio, Charles Moulton, Bebe Miller, Yoshiko Chuma, and the opera "Welfare", with filmmaker Fred Wiseman and poet David Slavitt. He also contributed compositions for Alan Ginsberg's recording The Lion For Real and William Burroughs' Dead City Radio. His concert music has been performed by the Kronos Quartet, the New Century Saxophone Quartet, the New York Composers Orchestra, and others. A 1987 recording of his music, Lenny Pickett with the Borneo Horns, was described by Downbeat magazine as "a brilliantly creative use of acoustic instruments." His recent album, The Prescription, made in collaboration with the great Finnish jazz orchestra UMO and fellow Combo Nuvo member Rich Shemaria was released in 2014 by Random Acts Records. is a prolific composer and has orchestrated much of Combo Nuvo's music for the symphony, jazz orchestra and chamber groups. He has written music for John Scofield, Joe Lovano, Chris Potter, Michael & Randy Brecker, Lenny Pickett, Teo Macero, Wayne Krantz, Stefon Harris, Little Jimmy Scott, Roberta Gambarini, Don Friedman and the Airmen Of Note. Shemaria served as the director of the UMO Jazz Orchestra in Helsinki, Finland from 1994-96. Since 2003, he has been teaching composition/arranging, directing the jazz orchestra and holds the position of Composer in Residence at NYU Steinhardt Jazz Studies. In addition to performing with his own groups, The Brad Shepik Trio, The Brad Shepik Quartet and Human Activity Suite, across Europe and North America, Shepik has performed and/or recorded with Paul Motian, Joey Baron, Bob Brookmeyer, Carla Bley, Charlie Haden's Liberation Music Orchestra, Dave Douglas' Tiny Bell Trio as well as oud/violin virtuoso Simon Shaheen's Quantara and Bulgarian saxophone legend Yuri Yunakov. Shepik also continues to perform with the Balkan/jazz groups- Matt Darriau' Paradox Trio and Pachora w/Chris Speed, Jim Black and Skuli Sverrisson. He has recorded 8 albums as a leader and appears on over 70 recordings as a sideman. Currently, he performs solo guitar concerts as well as leading quartet and a trio and collaborating in a duo with vibraphonist Tom Beckham. Their debut recording, Flower Starter, will be released in Spring 2015. As a sideman he is touring with Paradox Trio, Jamie Baum, Combo Nuvo, George Schuller and Arthur Kell. Cellist Mike Richmond has been featured on over 300 recordings (12 solo) with artists/ensembles including Dizzy Gillespie, Ravi Shankar, Stan Getz, Charles Mingus Dynasty/Big Band/Orchestra, Elvin Jones, Joe Henderson, Jack DeJohnette, Pat Metheny, Horace Silver, Bobby McFerrin, Joào Gilberto, Henry Mancini, Hubert Laws, Michel Legrande, and the CBS Orchestra in Los Angeles, winning Grammy Awards through his work with Miles Davis, Quincy Jones and the Philadelphia Orchestra. Mike has also performed as a soloist with the Bratislava Philharmonic and Cologne Radio Symphony Orchestra and Big Band. His performance (bassist and actor) in the Robert Wilson/Alan Ginsberg production Cosmopolitan Greetings with the Hamburg State Opera brought praise in both Time and Newsweek magazines. Mike has toured extensively in Europe, the Middle East, Asia, Africa, and South America since 1973. Appearances include documentaries produced in the United States, Germany, Poland, Israel, Japan, and China. His compositions have been performed on television including the Tonight Show, recordings, and movies (Precious Cargo). His book Modern Walking Bass Technique (Ped Xing Music Publishing) is used worldwide as one of the leading texts on jazz bass technique. John's dedication to music has taken him from his native Missouri to concert halls and clubs across the world, while releasing two records of his own compositions, The Eye of Gordon (2008) and Displaced (2010). At home in New York, Time Out New York has noted: “John Hadfield’s percussion is so impeccable.” John Hadfield currently serves on the Jazz faculty of New York University, where he teaches drum set and the World Percussion Ensemble. 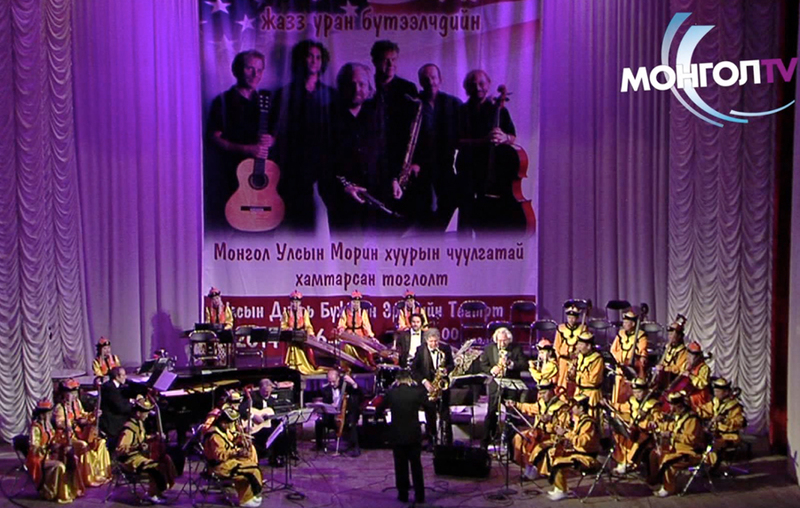 The Saturday Night Live Band on NBC, Kinan Azmeh’s City Band and Combo Nuvo. 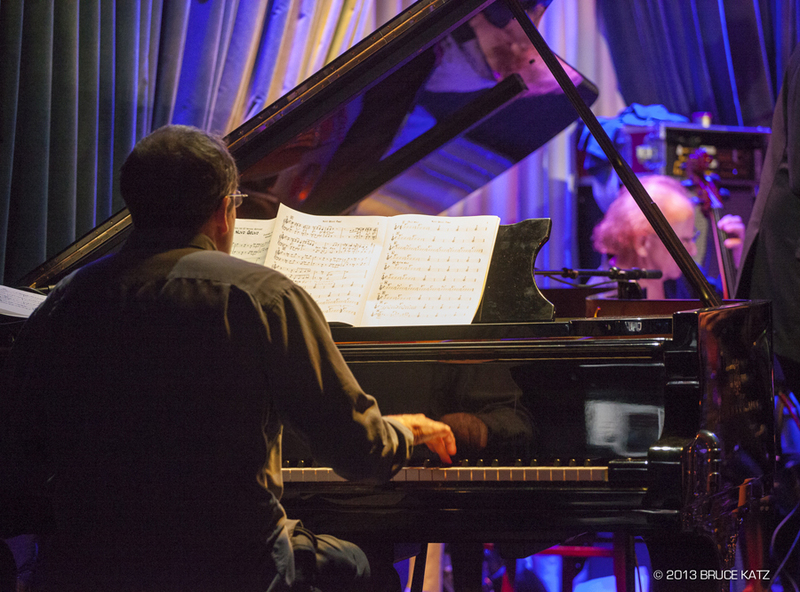 While performing and recording with jazz groups, John Hadfield has played alongside many inspiring and creative musicians including Lenny Pickett, Kenny Werner, George Garzone, Billy Drewes, Greg Osby, Gil Goldstein, Bobby Watson, James Genus, Gilad Hekselman, Jean-Michel Pilc, Petros Klampanis, Satoshi Takeshi, Brad Shepik, Benjamin Koppel, Mark Helias, Uri Caine, Chris Jennings, François Rabbath, Paquito D’Rivera, and Erik Friedlander. John Hadfield has also collaborated on more than 80 recordings as a guest artist, including the GRAMMY award winner Yo-Yo Ma and Friends, Songs of Joy and Peace (SONY BMG 2008). As Downtown Music Gallery founder Bruce Lee Gallanter has summed up in his review of John’s record Displaced, “[w]hat makes this special is that Mr. Hadfield knows how to use percussion in a more organic way that rarely deals with any sort of (logical or overused) beats, yet the music remains consistently fascinating throughout. Thanks for contacting Combo Nuvo - we'll get back to you promptly!